We provide a range of Ultrasonic Cleaning Products and ship across Canada. Our range of ultrasonic cleaners have the ability to transform your business, improving efficiency and saving you time and money. Whether you run an automotive workshop, dental or medical practice, large industrial business or just want to restore your jewelry to it's former glory, our range of products can help you. RSonics is a Canadian based company and offers multiple shipping options across the country. 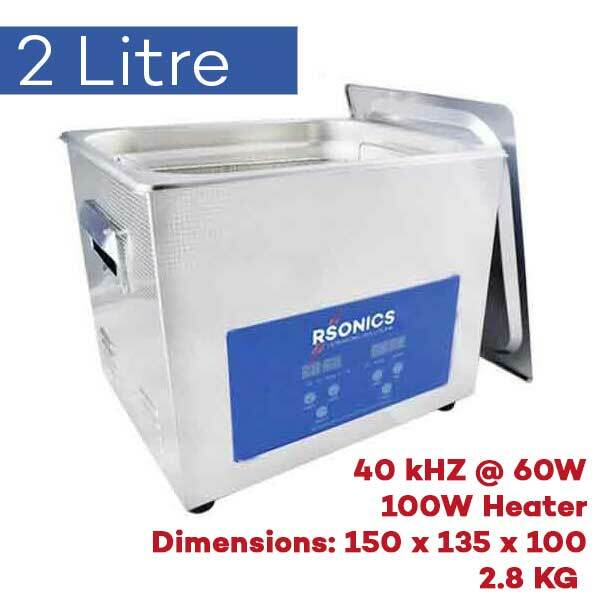 Our Ultrasonic Cleaners come with warranty and we also have the capability to perform repairs in the unlikely occurrence that there is a problem with your unit. 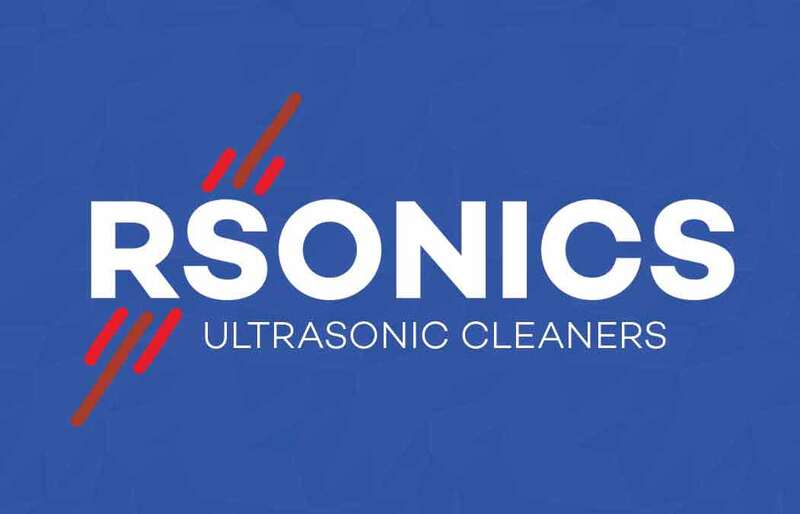 Please feel free to browse our ultrasonic cleaning products in our online shop. We'll get your product to you quickly! RSonics Canada is a Canadian Distributor, Sales and Service Company for ultrasonic cleaners catering to a very wide range of industries. Ultrasonic Cleaners Canada is a new market that offers many advantages to it's users. From the health care sector, dental offices to the automotive and power sports industry, these ultrasonic cleaners are so versatile they are only limited to your cleaning requirements. Our stock and service point is Calgary Alberta and we look forward to providing you with an ultrasonic cleaning solution from our Standard Models to any Fit-for- Purpose requirement you may have. We QAQC test your unit with fresh water to ensure that it is functioning correctly and then package it for safe and secure shipping. We use Canada Post in order to ship our Ultrasonic Cleaners across Canada. We provide you with Live shipping rates via Canada Post so you know exactly how much your Ultrasonic Cleaner costs to ship before you buy. With the 30 day NO FAULT EXCHANGE*, extended warranty or service repair, we will quickly repair and return your machine for your service. If you find that you need a larger unit, inquire about our exchange program. To provide you top quality ultrasonic cleaning solutions to save you time and money in your day to day business. 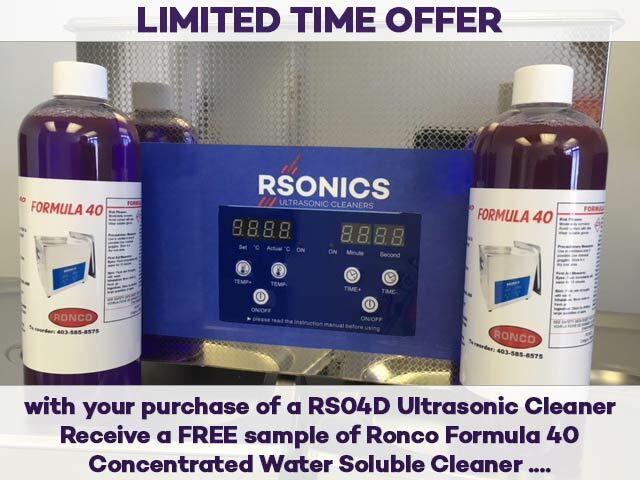 Have you learned anything about your RSonics Ultrasonic Cleaner that you want to share.